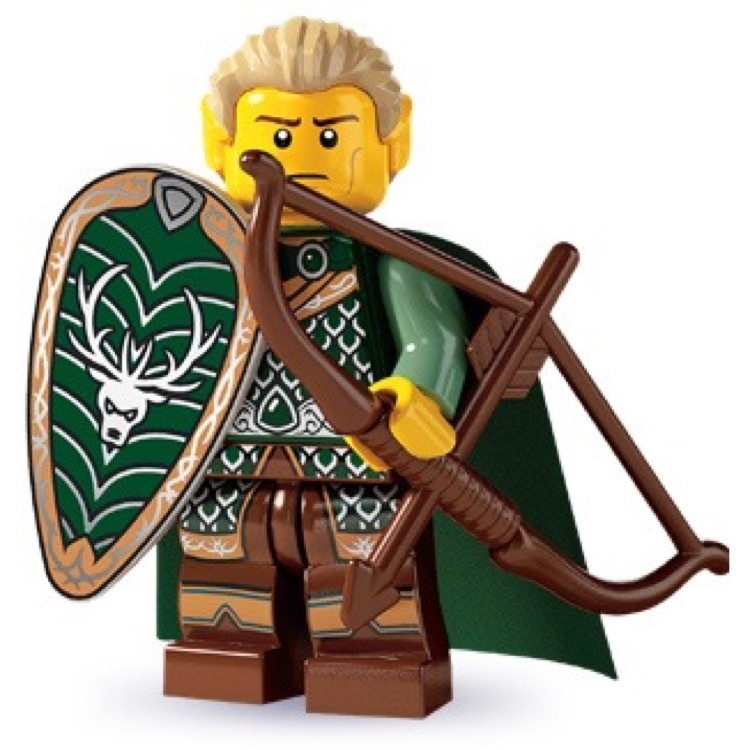 You are looking at a BRAND NEW LEGO® 8803 Minifigures© Series 3 Elf. This minifigure© is brand new and factory sealed in its original "mystery bag". "Trespass not in the secret glades of the Elves!" Hailing from deep within the mystical forests of the Elflands, north of the great Western Kingdom, the Elf is a skilled master of the longbow and a wilderness scout without equal. He can walk over dried leaves and brittle twigs without ever making a sound, leap effortlessly through the tall treetops, and track a troll raiding party for days with no rest. You may have heard that the Elves are a mysterious and secretive people, but in fact they'll be happy to tell you all about their musical artistry with the harp and panpipes, their sworn friendship to the beasts of the woods, and their quest to rescue the enchanted Golden Goblet from the cavern of the Emerald Dragon. And then they'll break out the epic poetry!